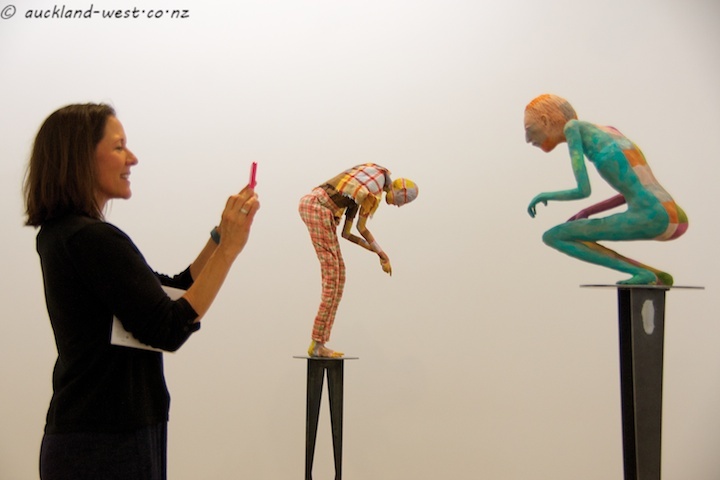 The Auckland Art Gallery has an exhibition “Freedom Farmers: New Zealand Artists Growing Ideas”. One of its rooms is devoted to seven sculptures by London-based artist Francis Upritchard. Shown here are “Christopher” and “Jockey”. Made from modelling material, foil, wire, cloth, paint, 2012.